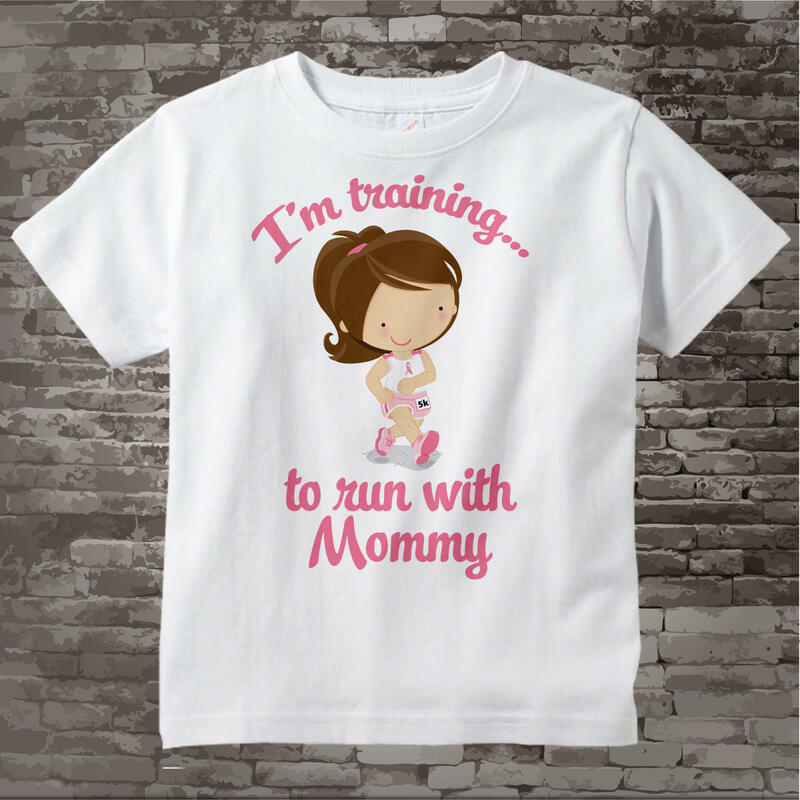 This cute little brunette haired running girl can have any color hair to match the wearer and can have any name for the person she's running with. 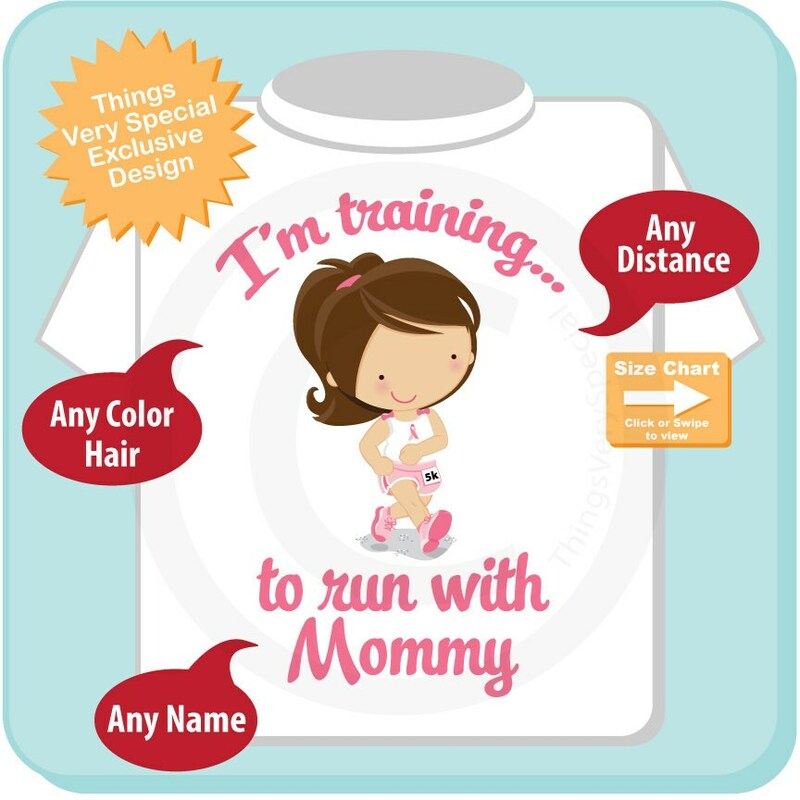 The distance on her race bib can be changed to show what race she's training for. The cute little girl has on pink and is proudly wearing a pink ribbon to show her support for Breast Cancer Awareness. Hair Color of Little Girl.